An invigorating conversation with Mr. John Salley, retired NBA player with four championships with three different NBA teams, is focused on being a change agent for a healthier lifestyle. The affable TV host talked about owning, fixing and ultimately changing ourselves to embrace a lifestyle that we want our children to imitate. John Salley enjoyed an illustrious career with the Detroit Piston “Bad Boys Squad”, the Chicago Bulls with Michael Jordan, and in Los Angeles with the 1999-2000 Lakers' Championship Team where under the invite of Phil Jackson provided experience and leadership. A proud native of Brooklyn, New York, John Salley discovered his passion for basketball at an early age when he accepted a basketball scholarship to Georgia Tech to play for the legendary head coach Bobby Cremins. When discussing how he progressed to TV, Mr. Salley stated that he has always dreamed of being a TV personality. That opportunity knocked in 1989 at an NBA All-Star Game when he was asked to announce the playoff lineup of the Slam Dunk Competition. That was his debut in TV and he has never looked back. John has hosted several award shows and been involved in a slew of other TV shows and film including the movies Bad Boys 1 and II with Martin Lawrence and Will Smith. John participated in the celebrity survivors' reality show, “I'm A Celebrity, Get Me Out Of Here!” where he was in the jungle for 30 days and placed third. Currently he is the host of the wildly popular Basketball Wives on VH1. 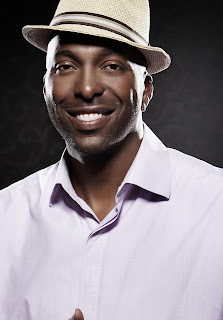 Mr. Salley recently formed his own entertainment group John Salley Presents, Inc. and is working on an upcoming TV production. He went on to say that, one of the challenges facing African Americans is they do not understand their history and many times will not work together as a team. This is common dilemma also in Africa where we have seen tribes fighting other tribes, another form of division that plagues the black people. John is involved with many community initiatives including diabetes education, Vegan Fest and Operation Smile, where he has been very active. These humanitarian initiatives are life changing and immensely rewarding. John was happy to say that he has now been married for over 18 years and has three kids, 23, 15 and 8. He enjoys spending time with his girls and teaching them life principles and being a dad. He is direct in his approach and calls it, “TALKING DIRECTLY AT YOU.” He feels this open and engaging attitude will fix many of community shortcomings. Change yourself before you can change the world is his advice. John Salley is a successful TV actor, sports icon, movie and documentary host and philanthropist. You can read more about the man of many hats at JohnSalley.com. It seems too complex and extremely broad for me. I'm looking forward for your next post, I will try to get the hang of it! I have a blog based on the same information you discuss and would love to have you share some stories/information. even remotely interested, feel free to shoot me an email. from a different page and thought I should check things out. I have heard excellent things about blogengine. if you could write a litte more on this topic? I'd be very thankful if you could elaborate a little bit more. Many thanks! as a best website for newest updates. and I'm shocked why this coincidence didn't came about earlier! will absolutely take good experience. have clicked on the -Notify me when new comments are added- checkbox and from now on whenever a comment is added I get 4 emails with the same comment. Excellent blog here! Also your website so much up fast! What web host are you the use of? Can I get your associate hyperlink on your host? We're a group of volunteers and starting a new scheme in our community. Your website provided us with valuable information to work on. You have done an impressive job and our entire community will be thankful to you. recent and previous technologies, it's remarkable article. a subject that's been written about for years. Excellent stuff, just great! Asking questions are truly nice thing if you are not understanding something entirely, however this piece of writing gives fastidious understanding even. written article. I'll be sure to bookmark it and return to read more of your useful info. Thanks for the post. I will definitely return. Great blog right here! Additionally your site so much up fast! Thanks for finally talking about > "John Salley Interview" < Liked it! Also visit my page - http://www. a thirty foot drop, just so she can be a youtube sensation. You are so awesome! I do not suppose I have read anything like that before. Seriously.. thank you for starting this up. This web site is something that's needed on the web, someone with a bit of originality! absolutely useful and it has helped me out loads. I'm hoping to contribute & aid other users like its aided me. Good job. post upper! Come on over and talk over with my web site . Amazing issues here. I'm very glad to peer your article. Thanks a lot and I am having a look ahead to touch you. Will you please drop me a e-mail? Glance complicated to more added agreeable from you! I am extremely inspired along with your writing abilities as smartly as with the structure for your blog. it, any plugin or anything you can advise? I get so much lately it's driving me insane so any help is very much appreciated. Hi, I wish for to subscribe for this website to obtain most recent updates, so where can i do it please assist.